Forex trading deals with buying and selling a currency against another one. The aim is to make a profit by identifying the correct market direction. Finding the correct market direction is not a piece of cake. Traders use both technical and fundamental analysis for this. Moreover, in some cases, notions like astrology and the way stars/planets align and influence people’s behavior are taken into consideration. It may sound crazy, but it’s pure truth. No matter the forecasting method, one thing should prevail: how to manage a trading account. Traders’ ego and personality influence an account more than the method used to find a trade opportunity. Hence, risk management is key. NB: Traders should focus first on how NOT to lose money, and then on how to make some. 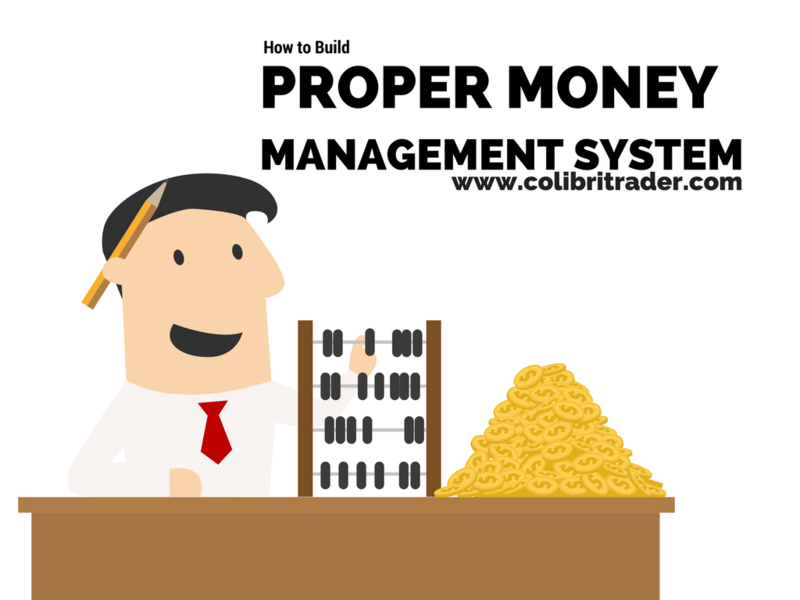 Any money management system must start with building the right expectations. While the Forex market gives the impression of prices going in trends all the time, this is not true. In fact, the Forex market with its huge five trillion dollars daily volume spends most of the time in consolidation. As such, fake moves happen all the time. The problem with trading the Forex market comes from the way traders perceive it. They come to the trading arena with false expectations. They underestimate the dangers that markets hide. This is normal. Because brokers use aggressive advertising techniques telling how easy it is to make money, people start on the wrong foot. Statistically, over ninety percent of the retail traders lose their deposit in the first six months. That’s a terrible percentage! When this happens, the next step is the so-called “revenge trading”. Traders deposit more funds in a desperate move to get back what they lost. Right from the beginning, retail traders start with a huge disadvantage: they are a minority. To put this into perspective, out of those five trillion dollars that exchange hands every day, only about six percent represent retail traders’ volume. That’s a powerful statement. When traders lose a trade because of a market swing, they usually blame someone else: the broker, the “market” …it is always someone else’s fault! Is it? Of course, it is not. Real people trading with real money make the market. If anything, Forex trading is not a video game. As such, the starting point of any Forex money management system is to understand the forces behind the changing numbers on the trading screen. If retail traders represent such a small percentage, who’s moving the market? Or, why does the market move? Curious Fact: Not everyone is in the market for making a profit. Retail traders buy and sell exclusively to speculate. Others don’t. For example, commercial banks have a treasury department. While parts of it deal with investing the extra cash a bank may have, its main mission is to clear customers’ transactions. In plain English, this means to buy or sell currencies as per customer’s instructions in every bank account. Believe it or not, central banks have a trading department too. All of them! When a central bank sets the monetary policy for the period ahead, someone must implement it. If the central bank buys bonds, someone must effectively go on the market and by those bonds. And so on and so forth. Because financial markets are interconnected, what’s happening in one market might drive prices diametrically on another. If, say, gold falls 2%, on theory the USD will rise in value. Forex brokers, liquidity providers, high-frequency trading machines, hedge funds, etc., come to complete the list. Why would you think you’re better? No wonder 90% of traders lose their first deposit. The next thing in line is to manage risk. Remember? First, the risk, then the reward. Risking only a small percentage of your trading account keeps you safe. If you don’t believe it, let’s do a simple math exercise. If you risk one percent of your trading account for every trade, you’ll need seventy-two (72!) consecutive losing trades to lose half your account. Imagine that! Seventy-two consecutive losing trades…if that’s happening with your account, you’re not ready to trade. Even in this unfavourable scenario, this simple money management rule keeps you afloat: you’ll end up losing only half of your account. You won’t blow it like ninety percent of retail traders. Aggressive traders do risk two percent per every trade (or even more). I would say that a normal approach is anywhere between one and two percent. Conservative traders will lean towards the one percent threshold, while more aggressive ones towards the two percent or in some cases even more. Note: I personally do not risk more than 1% per every trade, which I think is a very reasonable figure. A Forex trader should never ever risk more than the reward he expects to gain. While other industries favor this (e.g. binary options industry), for a Forex trader this is something outrageous. Therefore, the risk-reward ratio must have a bigger reward than the risk. Of course, you may look for 1:10 or 1:30 (i.e. risking one pip to get ten or thirty pips). But, these are not very easily attainable returns. Even if they are attainable, they would be very rare. Remember that the Forex market spends most of its time in corrective waves? Stats: To be more exact, over sixty-something percent of the time the market trades in a range. As such, a realistic risk-reward ratio is anything between 1:2 or 1:2.5. That means, for every pip risked, the expectation is for two pips or two and a half pips gain. For a higher return, I have outlined a chapter in my trading course that walks your through the process of reaching higher returns (if the market shows favorable conditions of course). To sum it all up, Forex trading is risky. As such, one needs to approach trading with a cautious eye. While the potential reward lures traders into unrealistic returns, statistics are telling another story. Therefore, a trader must first deal with addressing the potential for a losses, and only after start looking at the possible rewards. Moreover, patience and discipline must reign over a trader’s decisions. 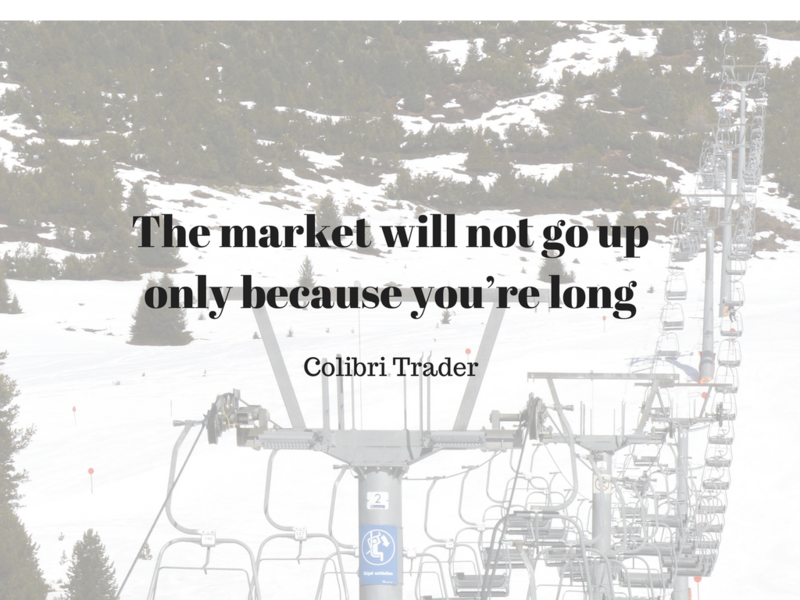 The market will not go up only because you’re long. Remember: The market will always be open next Monday. There’s a saying among Forex traders: “don’t force a trade”. Such a simple trading advice is yet so powerful. Even if you have missed one, there is always a way to get into another. Like many times in life, try to keep it simple. The same is valid in trading. Keep it simple, control the risk, and with practice the results should follow. What’s important is your P/L to show a positive growth. Don’t look for doubling your account every other month. Instead, look for the account to grow naturally, because of a proper money management system applied correctly. And remember not to risk more than 1-2% of your capital per trade. This is essential if you want to survive in the longer term. Hi, I have checked but it works. You need to click on: “Get Your Free Risk Calculator Spreadsheet” and then fill in your e-mail to receive the file. Also, bear in mind that you’d better do this in Chrome, since Safari for some reason is not loading it. Hope that helps!